#LifeStory - Is Life Really That Awesome As It Looks On Social Media? - Shopping, Style and Us Shopping, Style and Us: #LifeStory - Is Life Really That Awesome As It Looks On Social Media? 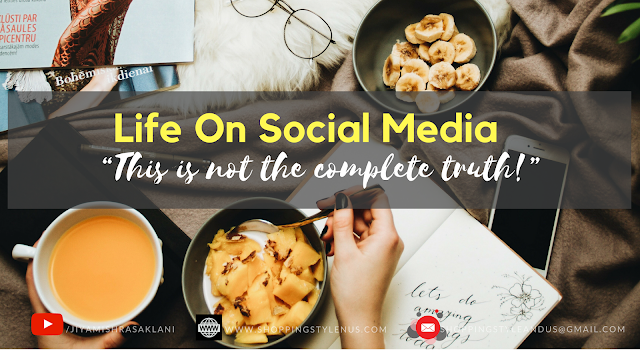 Home / Life / mid week blabbing / Self-Improvement / Self-Love / Slider / Social Media / #LifeStory - Is Life Really That Awesome As It Looks On Social Media? What you see on social media could just be 20% that requires a decision, persistence and conviction. But remaining 80% could be just like any other! My life(and others as well) is pretty smooth because of all the shopping I do, books and magazines I invest in. I have time to follow a workout routine that means I have enough time. I dine-out whenever I want which means I don't have to think about money at all. All of this means, my husband is very supportive too! All it takes is - a decision followed by conviction. Life on social media is just a tiny part people decide to post! Social Media or Internet is not that forgiving. What you put on social media is open for public reactions. Praises, admirations, allegations and sometimes abuses too are a part of it. So, not everyone is putting out everything they are going through. The reason could be anything - from keeping certain areas of their lives private to not sharing the not-so-happy parts in public. That's why you see only the happy, fun and free parts on social media, mostly! Time and fun are just a matter of a choice and how you prioritise! Cook food for my family timely. But I order food or my husband helps in the kitchen when I am tired, sick or simply there is more important thing to do and cooking can wait. Have clean laundry. Although a good practice, yet folding them right away or ironing them is not the priority. There were days when I wanted to prove myself that I was perfect and I tried folding, ironing and sorting them right away. It stressed me out and I made a deal with myself that unfolded laundry might make the room a little cluttered but nobody is dying. So, let's do it when I have free time from everything else that matters to me. I am happy on the laundry part since then! Clean and Organise. What I clean or organise is simply a matter of what requires cleaning and organising in that particular moment or day. For example, the centre table in my living room is dirty again, but I cannot keep cleaning it. It can be done in the night or while I am watching TV. Read and Blog. I read books before bedtime or while helping my daughter study. Workout. I workout when I am cooking in the kitchen, watching TV, teaching daughter or everybody is asleep. Make YouTube videos. As and when I want to show my routine, shopping or a lesson that I have learned- to others who can benefit from it. For you and me, the only important thing is deciding and prioritising. If you are not able to complete your sleep, it simply means two things - either you are spending way too much time on things that could be put aside for later or you have not prioritised your daily chores at all. Simply plan, prioritise and act! I explained to my family why marrying my husband was not a bad decision. Initially, I faced the anger and rejection but I held-onto my decision and waited. They agreed! My husband didn't understand blogging and he felt that I didn't give him time because of it. I stopped blogging regularly because my relationship was important and I prioritised giving that time to my husband instead. It made me happy because he was happy! Do it because it will make you genuinely happy! 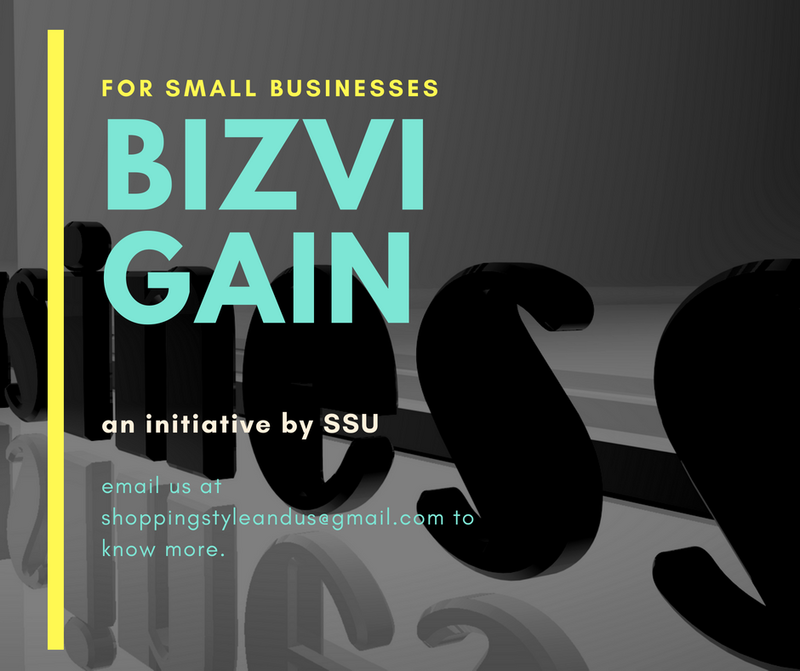 My blog started earning, I started getting emails from brands and PRs for product reviews, events etc. and my husband realised that blogging is not futile. Also, I explained to my husband how blogging helps me de-stress myself. He understood! Later came a point when I prioritised giving all my time to my daughter and stayed up late night to work on my blog. But I never stopped blogging! There had been a time when my husband and I stopped dining-out thinking we would save a lot of money. But we started going out to eat at our favourite restaurants off and on because it made us happy, unwind and revive. The list is too long. The basic idea is- don't do anything that would make you feel unhappy, inadequate or incomplete. Decide and tell people that this is what you choose. Pursue a hobby or do something that excites you. And make it your routine! It will make you happy in ways that nothing else could, and not only you but your family will also benefit from it. Your perspective changes when you are in a good mood! Money comes as you decide! Money is something that is never sufficient yet always fulfils our dreams when we aspire. I have seen households that earn the same amount of money every month yet their priorities are different. One of them spends on dining-out, shopping, school fees, travelling etc. and another family always complains about not having enough. Please don't take me wrong! But money is simply a state of mind. More fun we have with money, more money comes. This is a fact! Try it! We need to understand that everything shiny and yellow could not be gold, yet it chooses to shine. A smiling face and twinkling-eyes could be unhappy but they chose to show their smile more than their tears. People who we follow on social media are not always happy, perfect or glowing as they seem to be. The best we can do is to aspire to have a great life, to dream about creating happiness, to get inspired and to learn. Complaining is easy, but it does more harm to us than others.